Davos: UN chief Antonio Guterres on Thursday appealed for dialogue in Venezuela to avoid the political crisis spiralling out of control, after opposition leader Juan Guaido declared himself interim president. “What we hope is that dialogue can be possible, and that we avoid an escalation that would lead to the kind of conflict that would be a disaster for the people of Venezuela and for the region,” he said at the World Economic Forum in Davos. “Sovereign governments have the possibility to decide whatever they want,” the he said on a Facebook Live broadcast from Davos. “What we are worried (about) with the situation in Venezuela is the suffering of the people of Venezuela,” he said. Guaido vs Maduro: Who is backing Venezuela’s two presidents? • The top brass of Venezuela’s military has shown no sign of leaving Maduro’s side. 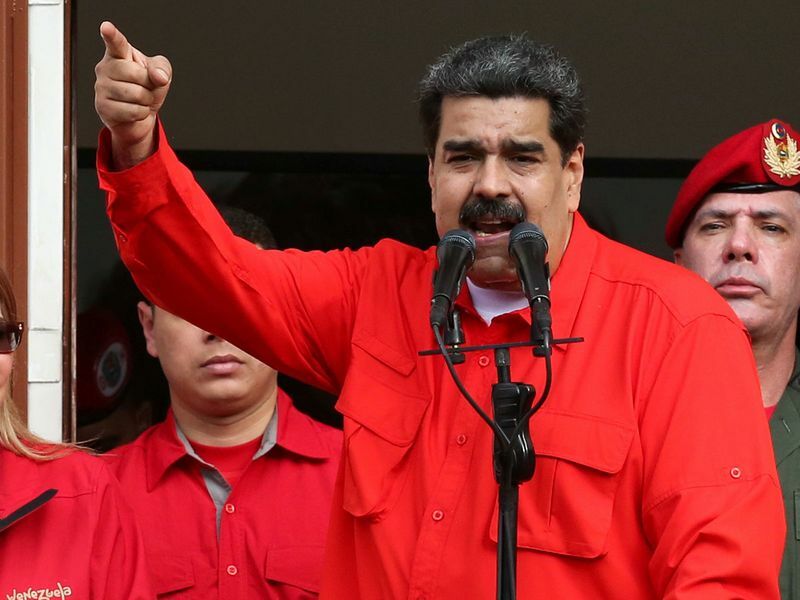 • The Venezuelan Supreme Court, stacked with Maduro loyalists, has remained solidly behind the socialist leader, ruling earlier this week that all actions taken by the congress - led by Guaido - are null and void. • State oil company PDVSA, which accounts for most of Venezuela’s export earnings, stood by Maduro. • Left-leaning governments in the region, including Cuba and Bolivia, continue to back Maduro. • Mexico, where leftist Andres Manuel Lopez Obrador took office last year, has dropped the previous government’s opposition to Maduro and said it will follow a policy of non-intervention. • Russia slammed what it called foreign interference in Venezuela, saying such action could sow chaos and bloodshed in the impoverished Latin American country. • Iran has said the opposition’s claim there that it holds the presidency is an attempt to take over power unlawfully. • Turkish President Recep Tayyip Erdogan called Maduro to voice his support. • The US recognised Guaido shortly after he proclaimed himself president on Wednesday, saying it would use its “economic and diplomatic power” to restore democracy in Venezuela. • Numerous right-leaning Latin American governments, including Brazil, Colombia and Argentina, also recognized Guaido. • There are some signs that support for the opposition is expanding beyond its traditional middle- and upper-class areas. Several protests against Maduro have broken out in working-class neighborhoods and slums this week. • Some low-ranking Venezuelan military officers have expressed discontent with the government. • However, the European Union called on for Venezuela authorities to respect the “civil rights, freedom and safety” of congress chief Juan Guaido but stopped short of recognizing him as interim president. “The Venezuelan people have the right to peacefully demonstrate, to freely choose its leaders and decide its future,” it said. PROFILE: Who is Juan Guaido? Caracas: Until very recently, Juan Guaido, the 35-year-old leader of Venezuela’s opposition-controlled national assembly, was an unknown figure on the international stage. That changed on Wednesday, when the young politician stood before thousands of protesters in Caracas and swore himself in as interim president - a move that was immediately greeted by the US and Canadian governments. 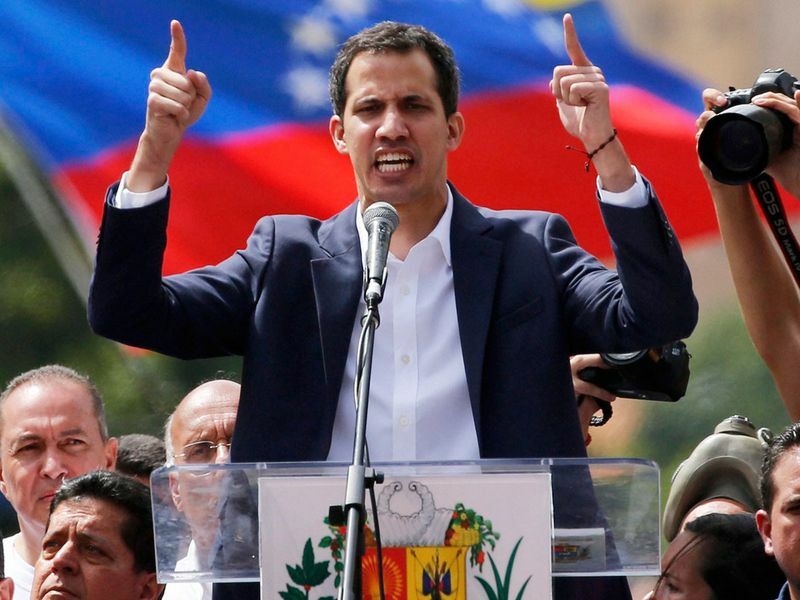 Raised in La Guaira, a port city 30km from Caracas, Guaido cut his political teeth during 2007 student protests against Maduro’s late predecessor Hugo Chavez , who was then seeking to consolidate power. 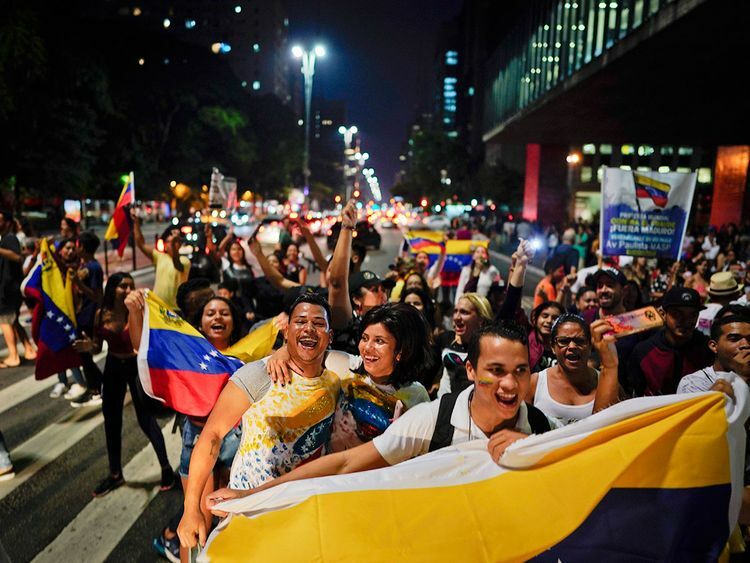 But the vote handed Chavez his only electoral defeat in a nine-year presidency , and emboldened a nascent opposition movement, including Guaido’s charismatic but divisive mentor Leopoldo Lopez, who has been under house arrest and barred from political office since early 2014 . It was Lopez who tapped Guaido, 12 years his junior, to lead his Popular Will party’s coalition in the national assembly when its mandate began on 5 January. Guaido had just finished his first full term as a legislator, having been elected in 2015. Lopez was one of the opposition’s most radical and confrontational leaders, but few had expected his protege Guaido to mount such a brazen challenge to Maduro. “He was incredibly brave and now runs risks that he’ll be jailed, tortured or need to go into exile,” said David Smolansky, an opposition leader. Guaido is no stranger to adversity. His family survived a devastating landslide in his hometown in 1999 that killed as many as 30,000 people, and he claims to bear scars on his neck from rubber bullets fired at protesters in 2017 in Caracas.